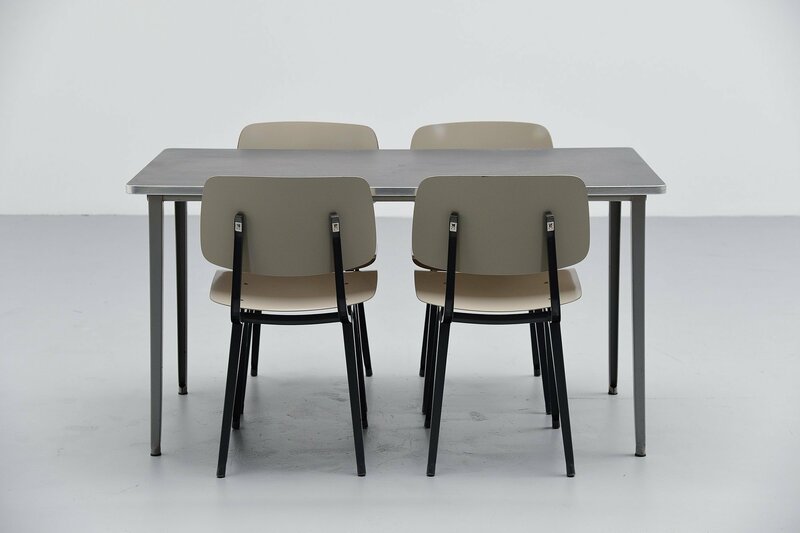 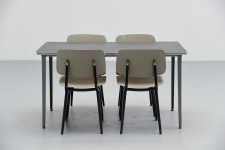 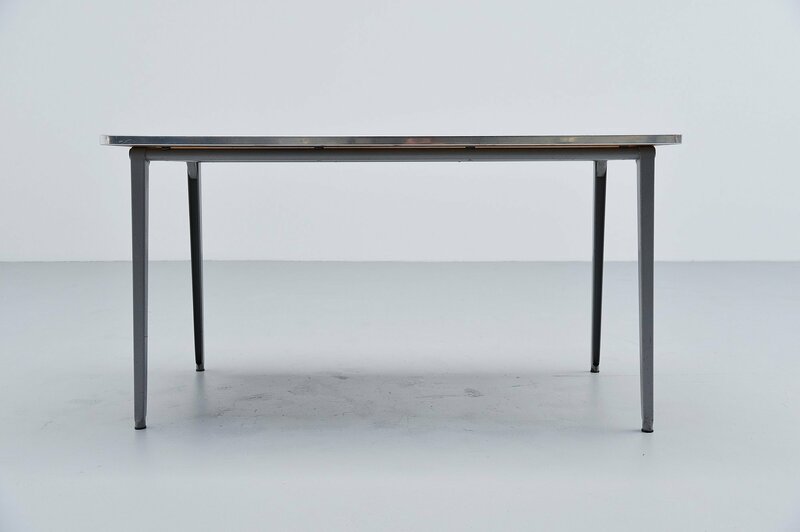 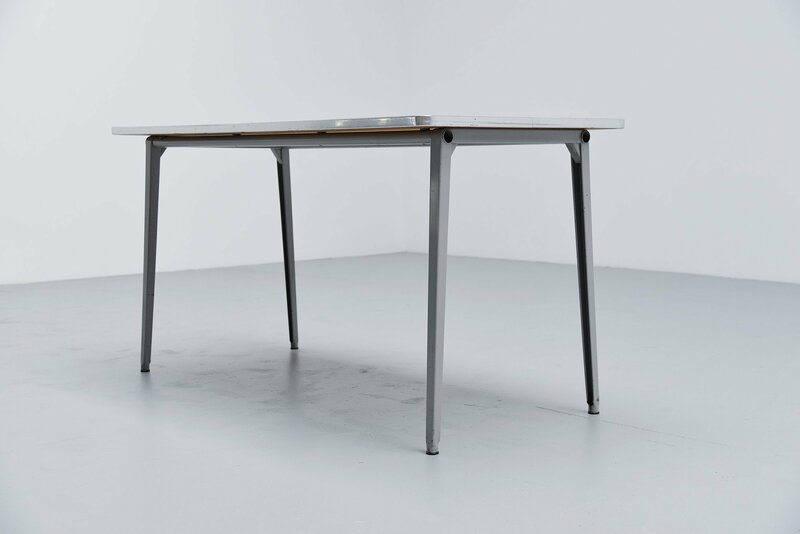 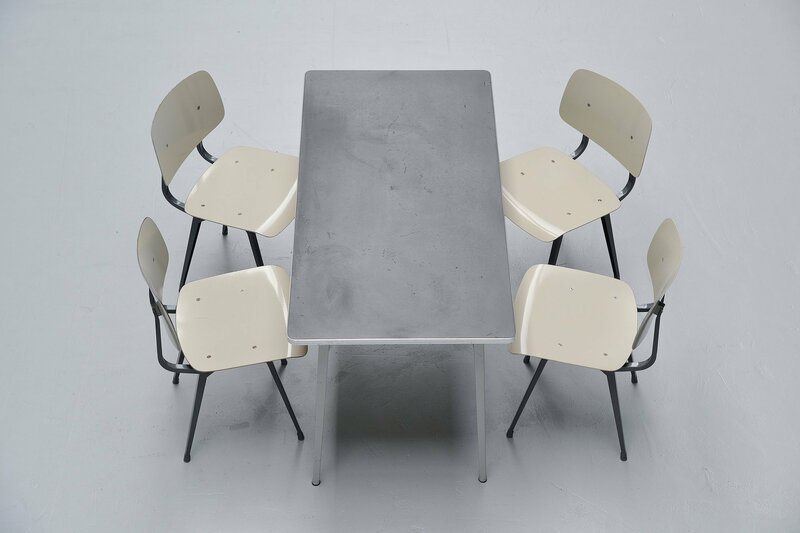 Very nice medium dining or working table designed by Friso Kramer for Ahrend de Cirkel, Holland 1955. 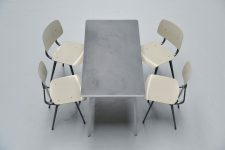 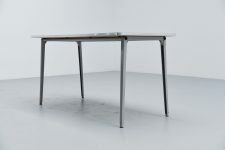 This table has a very nice light grey frame and dark grey linoleum top with aluminum edge. 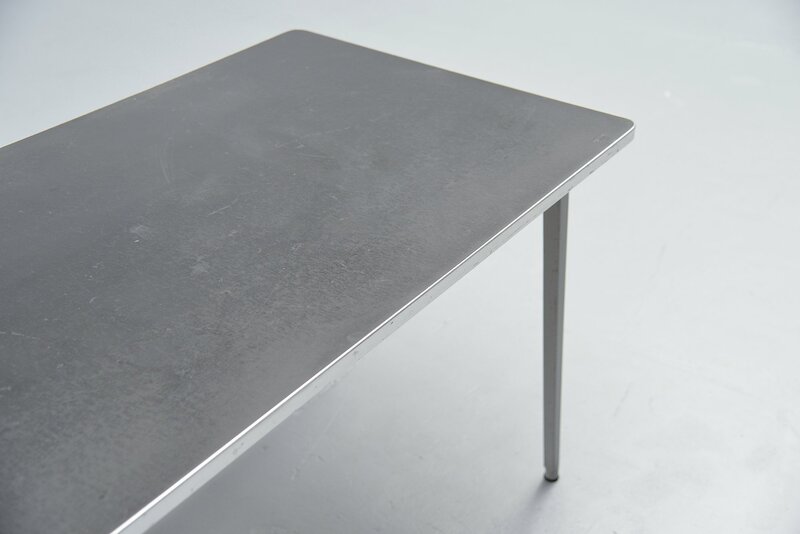 We always have several tables in stock in a variety of sizes and editions so please email us for our current stock. 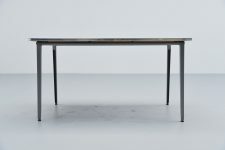 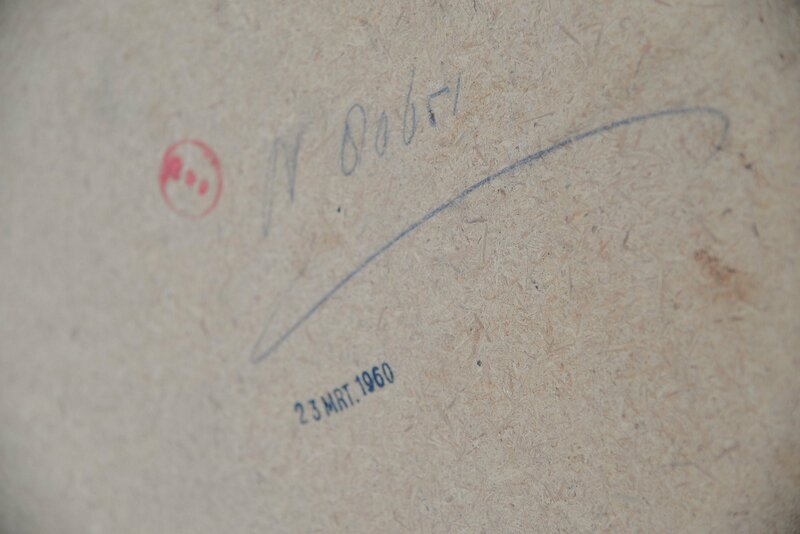 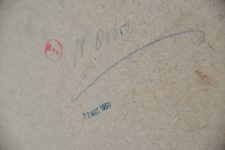 This medium table has several uses and is in very nice original condition with a nice patina from age and usage.Signed and stamped accordingly on the underside, 23 maart 1960.